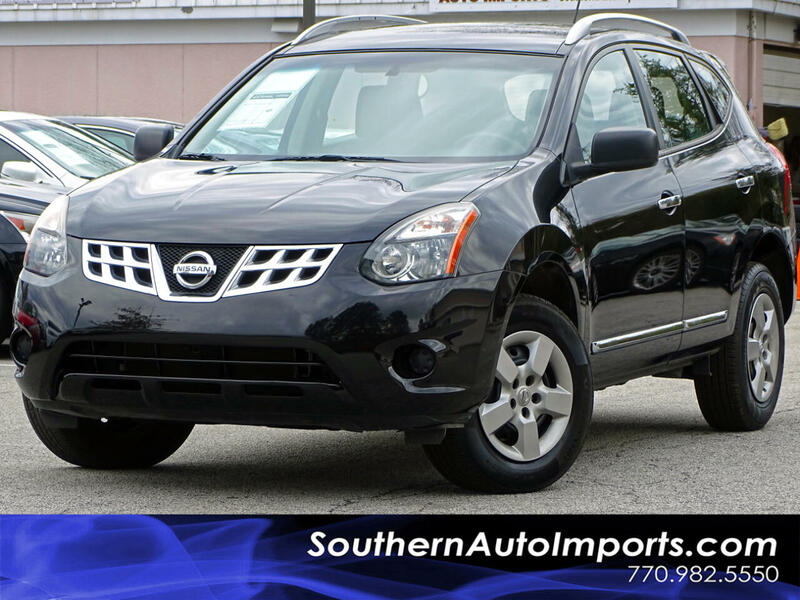 **ROGUE SELECT S w/BACK UP CAMERA *CALL US TODAY AT 7709825550 TO GET THIS NISSAN TODAY***THIS VEHICLE IS NOT A LEMON/STRUCTURAL DAMAGE***PREMIUM SOUND, BLUETOOTH CONNECTION, SATELLITE RADIO, BLACK ON BLACK INTERIOR CLOTH SEATS, REAR SPOILER, REAR WIPER, AM/FM RADIO, PWR LOCKS, WINDOW & MIRRORS, AUTOMATIC HEADLIGHTS, DUAL ZONE A/C, DUAL AIRBAGS, CRUISE CONTROL, VOICE CONTROL, KEYLESS ENTRY, AND MORE OPTIONS!! CALL US NOW!! !